April 3 (UPI) — A shooting at YouTube’s headquarters in San Bruno, Calif., left three people injured and one person dead of an apparent self-inflicted gunshot wound Tuesday, police said. San Bruno police Chief Ed Barberini told reporters that first responders found three gunshot victims inside the building and at an adjacent building. There was also one woman inside the YouTube building with what investigators believe is a self-inflected gunshot wound. The woman is a person “we believe to be the shooter,” Barberini. The shooter was identified by the San Bruno Police Department as Nasim Najafi Aghdam, a 39-year-old woman living in San Diego who posted many videos on Youtube, which have now been taken down. 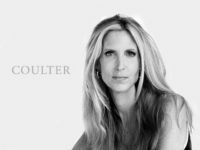 On her personal website, Aghdam accused Youtube of censoring her videos, which appeared to be focus on veganism. “There is no equal growth opportunity on Youtube or any other video sharing site,” Aghdam’s site says. “Your channel will grow if they want to!!!!! Shortly after police received 911 calls about the shooting at 12:46 p.m., San Bruno police tweeted they were responding to an “active shooter” and ordered the public to stay away from the area near Cherry Avenue and Bay Hill Drive. “Our Security team has been working closely with authorities to evacuate the buildings and ensure the safety of employees in the area,” the company said. 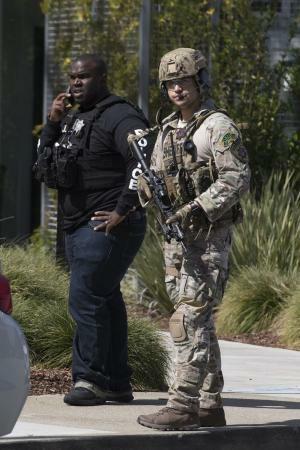 YouTube employees said they were barricaded inside their offices at the company’s San Bruno, Calif., headquarters Tuesday as police responded to an “active shooter” at the building. “I’m praying for the safety of everyone at YouTube headquarters,” she posted on Twitter. President Donald Trump said officials briefed him on the shooting. “Our thoughts and prayers are with everybody involved. Thank you to our phenomenal Law Enforcement Officers and First Responders that are currently on the scene,” he said.